This was such a sweet and enjoyable read! I really liked Remi, he is such a great father to Lillie. His 4 year old daughter Lillie was the cutest. One thing that I enjoyed most when reading about Ruby’s character was that she was half Asian (Korean to be precise). It was nice to read a story with some asian influences. I related with Ruby when there were a few of those stereotypical comments thrown at her about being a “Geisha”. I was thinking along the same lines…Ummm…wrong race, that’s Japanese not Korean. Overall, I would recommend reading this book. Thank you to the author and Inkslinger PR for generously providing me an ARC in exchange for an honest review. 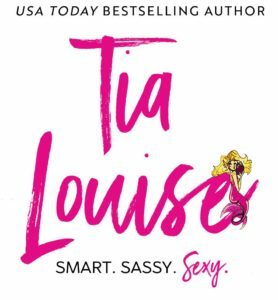 Make Me Yours by Tia Louise will join the ranks of the BIBLIO-SUPERIOR.